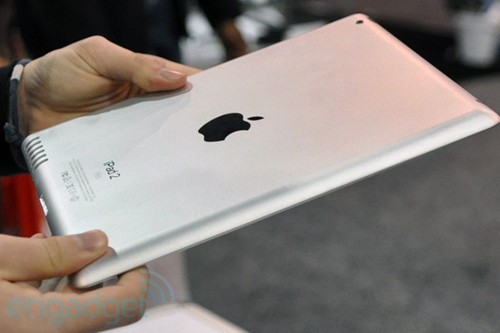 Numbers are starting to point toward the arrival of Apple's iPad 2 (and 3?). UK Carriers T-Mobile and Orange have dropped their iPad pricing, possibly making room for the iPad 2 arrival very soon, maybe in a matter of weeks. When new versions of products are on their way, it's very typical for retailers to drop pricing to clear out current stock. It's not just a "sale" price either, but more significant. Now T-Mobile and Orange are both selling the iPad for £99 on their 24-month contracts. Previously, Orange was offering the iPad WiFi + 3G at £199.99 to existing customers and £229.99 for new customers - this price drop is offering a savings of at least £100 on each. T-Mobile, meanwhile, is only offering the discount to existing customers. Last year Apple unveiled the game-changing iPad in late January with sales starting on April 3rd. Since we're currently in-between those dates, and have yet to hear anything official from Apple, we could see the iPad 2 peek it's beautiful head within the next few weeks. On the other hand, the reduced price could just be Orange and T-Mobile offering customers a bargain; but who wants to believe the later? Not us, that's for sure.